Beautiful beach. 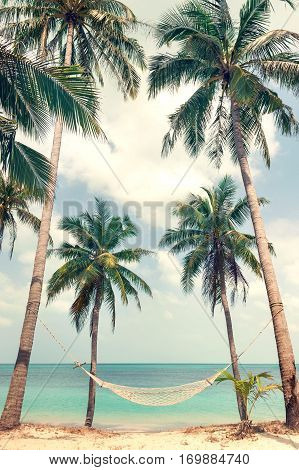 View of nice tropical beach with palms around. Holiday and vacation concept. Tropical beach. Beautiful tropical island in Thailand.